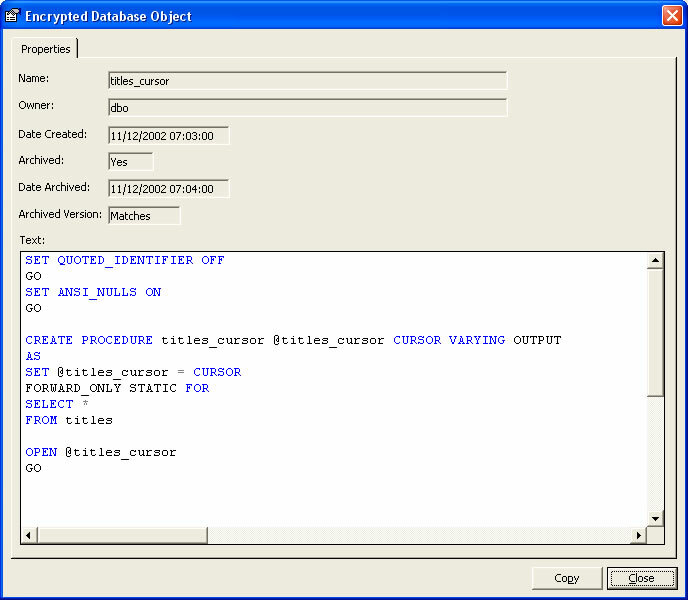 A database tool to protect SQL scripts in SQL Server and MSDE databases. You invest a great deal of time and effort developing intellectual property in the form of SQL scripts for your Microsoft?SQL Server?and Microsoft?SQL Server? MSDE?Databases. Whether you need to ship your databases to customers as part of a product or deploy your databases into a production environment you can protect your stored procedures, triggers, views and user defined functions with dbLockdown. With dbLockdown you can quickly and safely encrypt your SQL scripts and stop anyone from viewing or editing them. 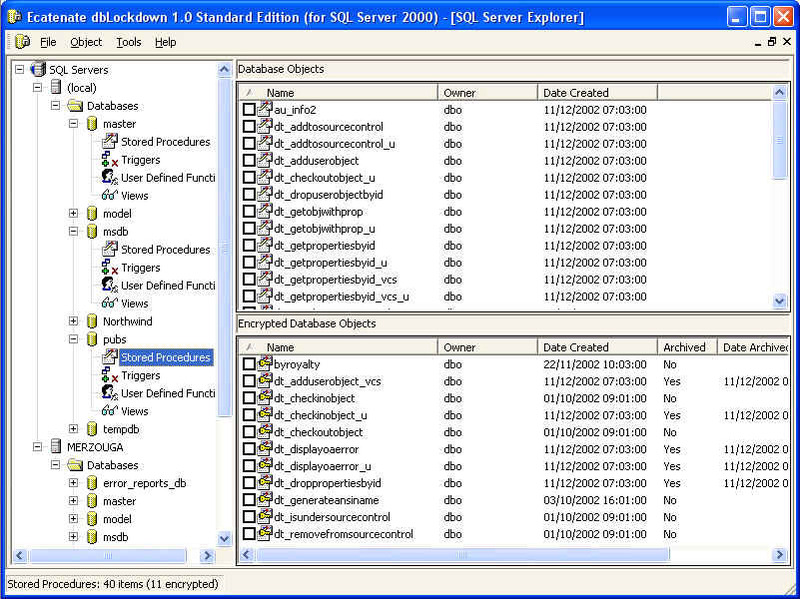 dbLockdown offers a familiar explorer view of all the SQL Server database objects across your enterprise and even on your Internet servers. Using dbLockdown you can quickly and easily encrypt all stored procedures, triggers, views and user defined functions in a specific database. All the database objects you encrypt will be automatically archived so that you can easily restore them again. You also have the flexibility to encrypt and restore individual database objects. Encrypting a database object does not in any way compromise its functionality.